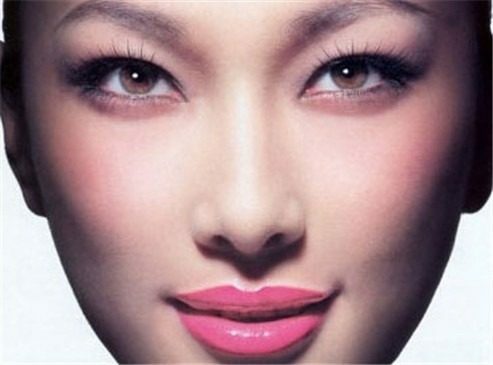 Chinese face reading, also known as physiognomy, has a history of thousands of years in Chinese. In ancient China there is a saying: "If you want to know if someone is wise to look at your face. If you want to know the reputation of a person, nobility, wealth, blessings and longevity, look at her eyebrows, eyes, nose, mouth, ears and jaw ". Psychologically speaking, it also makes sense. An old saying goes: "The change of a situation is the determination of the heart". The specification refers to one's self-confidence. A self-confident person is able to maintain a good mental state, and can make things more positively, so their efforts are recognized more easily by others, and things tend to go smoothly. Wisdom is judged by the shape of the front - a full front is favorable. A complete and smooth forehead is considered a symbol of beauty and wisdom. Almost all the beautiful people have a complete front. It has also been observed that most of the celebrities, Successful business people, royalty and kings have full fronts, representing the appearance of being blessed. The eyes are the windows to the soul. Reveal the height of wisdom from one, the nobility, leadership qualities and vitality of a person. Size, localization, form, and expression of one's eyes reflect the individual personality, as well as the highs and lows that one face in the future, including career, Fame, wealth, love, marriage, etc.. The single fold eyelid makes the eyes appear to be smaller and were considered "less beautiful", apparently because these eyes can not express emotions well. The nose reveals the prospects of wealth from one. In regard to aesthetics, a nice straight nose is a nose. The nose is a sign of wealth: "If you have a high nose, his chances of being an officer will be greater. A tall, narrow nose with a plump, fleshy tip can bring a man a successful career as an officer, wealth and a woman. A nose that ends abruptly can not be rich and having a wide nose will have trouble making money ". The longevity of one form disclosed in Chin. A rounded chin is a sign of being blessed. A traditional saying holds that "Someone with a good chin is blessed, and will have good fortune in their future years ". A woman with a good chin and cheeks will be a good housewife and always put first her family and her husband. Blessings are predicted reading ears - bring luck thick ears. Large, rounded lobes can bring good luck and good fortune. Traditionally Buddha images have rounded lobes and pendants. In the face, it is believed that a person with large lobes has very good fortune in wealth and friendship. A woman with large soft lobes is considered a very generous and thoughtful person, especially to her husband and children. Receive the blessings of their parents, It is very popular among his friends, and is the best candidate for a man who is looking for an ideal woman. Earnings are predicted reading one mouth - thick lips are preferred. The shape of the lips will reveal the extent of a person, As tolerance to a person. The beautiful shape of the lips is considered a sign of dignity, purity, honesty, beauty, elegance and charm. The ancients believed that women with thin lips were cruel and gossips (chismosas) and if he married a woman with thin lips, she could bring bad luck to her husband.